Extracts from two letters to Dr Joass. 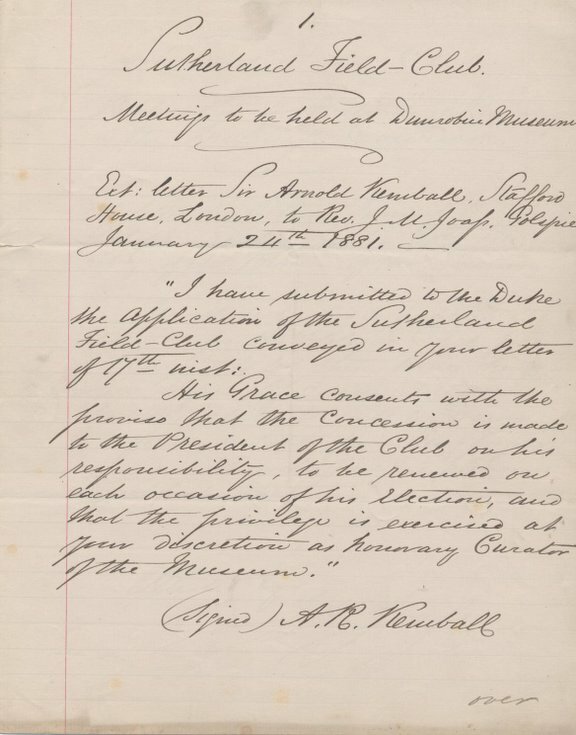 The first is from Sir Arnold Kemball, Stafford House, London, 24 Jan 1881, passing on the Duke's permission for Sutherland Field Club meetings to be held at Dunrobin Museum. The second is from Dr Aitken, Inverness, 20 Jan 1881, passing on the agreement of Mr Barron, Inverness Courier, to publish abstracts from the Field Clubs papers and meetings. Single folded sheet.